Moscow, Russia - November 17,2018. Medieval archer shoots an arrow from a bow. Дата съёмки 17 ноября 2018 г.
Moscow, Russia - November 17,2018. Medieval archer shoots an arrow from a bow. 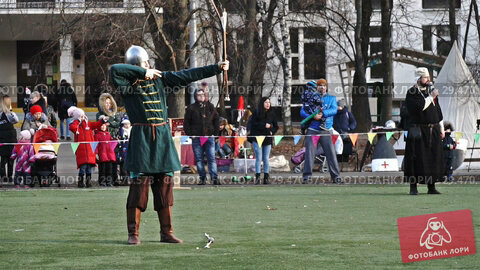 Reconstruction of medieval battles on the shool football field near a moscow school. Slow motion.